Now I'm Fit Conquers Entrepreneurial Fatigue With Its Stretch and Flex Advantage (SAFA) Program! Gallo stated, “Our passion is helping companies and their employees create real breakthroughs in their workplace and their home life by offering our SAFA program. Milltown, New Jersey: Now I’m Fit LLC (NIF) introduces a revolutionary approach for corporate wellness solutions and overcoming fatigue using a proprietary signature program called Stretch and Flex Advantage (SAFA). Our SAFA program is a unique 15 minute wellness program that focuses on relieving common workplace stress, tension and fatigue. 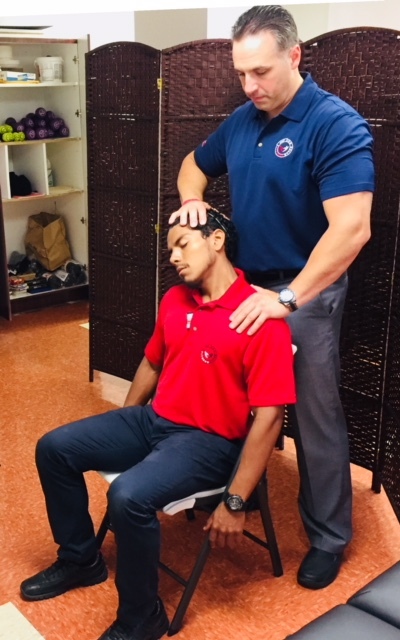 Using specific stretch therapy protocols, which systematically position, stabilize, isolate and manipulate muscles resulting in instant gratification. On a weekly basis, NIF provides employees an increased level of productivity while lowering health-care costs, providing a healthier work environment and enhancing the corporate image. We currently service the NY and NJ market. With increasing demand for our services, we have created a CEU certification course to empower fitness and wellness professionals to grow their business and provide the SAFA program nationwide. The foundation of NIF’s philosophy is that we strive to be so effective in what we achieve, that corporations will not be able to ignore the increasing demand for our services. Your employee’s world will be changed by the corporation’s example, not just their opinion. The Now-I’m-Fit staff is professional and reliable, have seasoned expertise, and provide an extension of care and partnership that leads to a more productive and collaborative organization. We will be offering 1 FREE SAFA session to the first 50 companies who email us below.